Hey Guys! 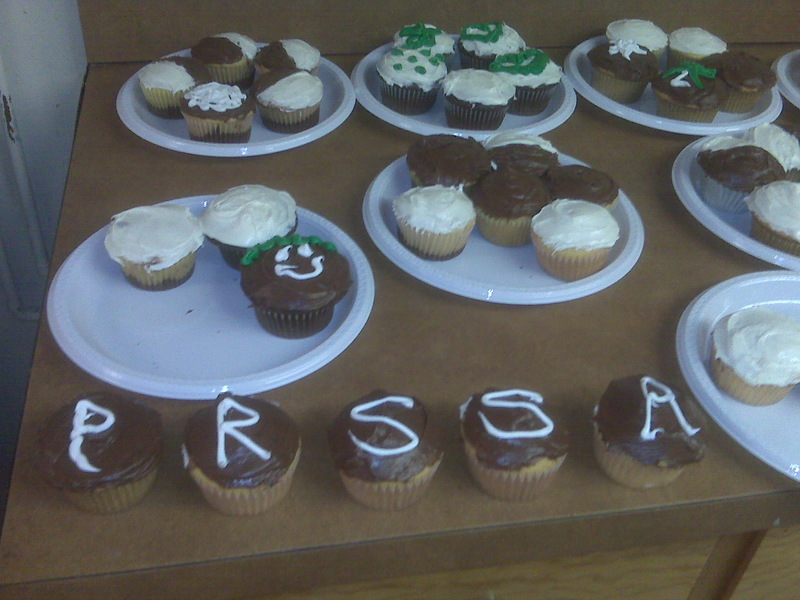 Don’t forget to check out our bakesale that is taking place today – right now, until 3PM at the GSU. 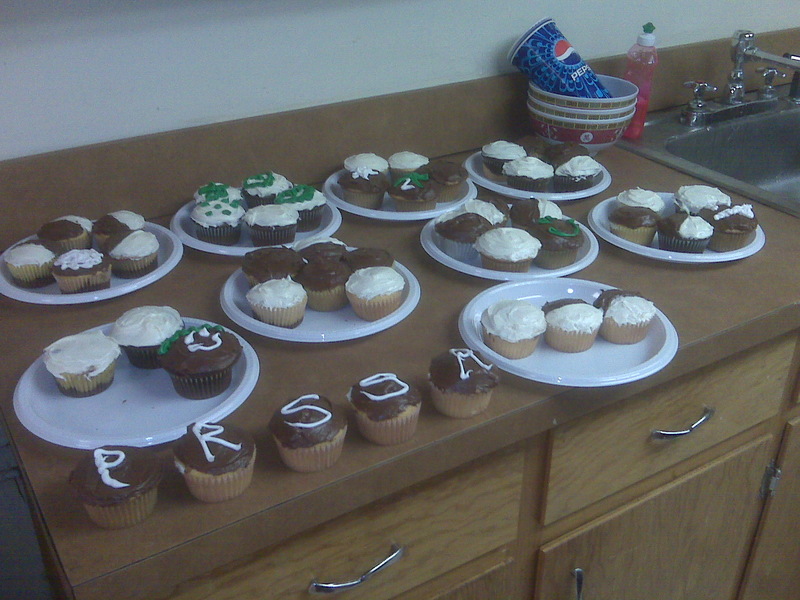 Last night the PRSSA girls worked hard to make you all the most delectable little cupcake delights. Heather, Jacki and Christen made a variety of chocolate, vanilla and even marble cupcakes with a combination of chocolate and vanilla frosting, and Alexandra made her very special Carrot Cake Cupcakes. Those are absolutely fantastic – you must get yours before they are all sold out! 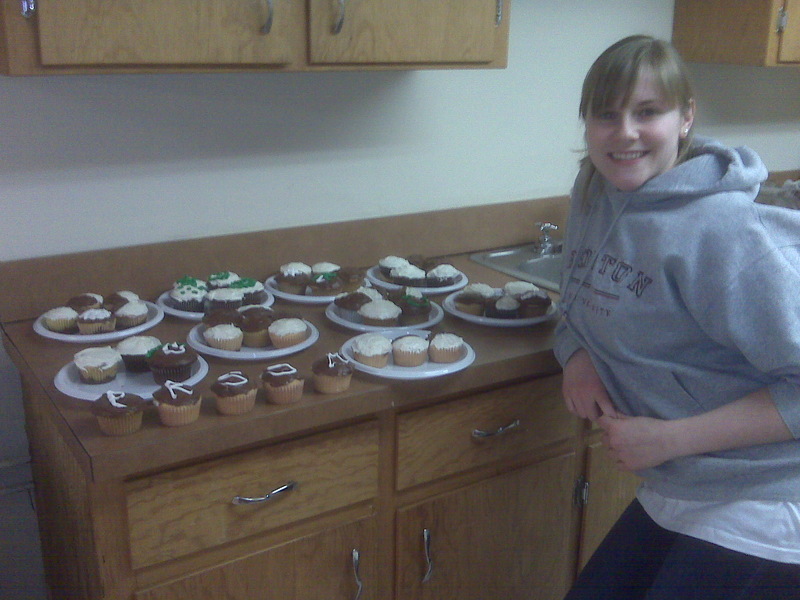 There’s Heather with our finished products!